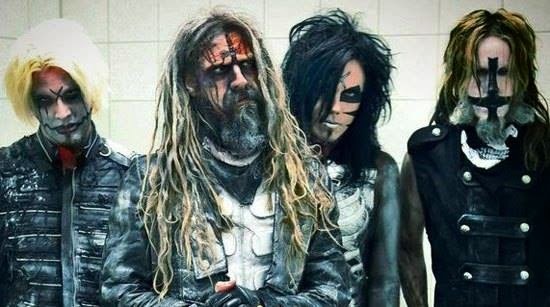 Rob Zombie has announced a series of US concert dates in June. "Welcome to my next film," says Zombie. "It is called 31. It is the story of five random people kidnapped on the five days leading up to Halloween and held hostage in a place called Murder World. While trapped inside this man-made Hell they must fight to survive playing the most violent game known to man...a game called 31." “After wrapping up our first campaign,” he adds, “we were bombarded with late requests to be part of the 31 action. So here we go again! Time to join the bloody clown mayhem!" Zombie is offering a special ticket pre-sale exclusively through RZ-31.com until February 13, when they will be widely available. On February 24, Zombie will release “Spookshow International Live”; the 19-song set will include a mix of solo and White Zombie tracks. The rocker recently completed mixing his 5th solo album – the follow-up to 2013’s “Venomous Rat Regeneration Vendor” – which debuted in the US Top 10.